My favorite movie memory was watching The Titanic with my Dad in the theaters. I had an odd obsession with the Titanic (the actual ship, not the movie) and used to be able to spout off tons of fact about the wreck. I even displayed this nerdy side to Peach when we took a tour of the New York Public Library. The tour guide was telling a tale about an artifact lost in 1912 and asked if anyone knew how it could’ve been lost. Without thinking my hand shot up and I said, “When the Titanic sank.” But I digress. My Dad took me to see Titanic after a lot of pleading. The movie ran in theaters for 10 months from December of 1997 to October of 1998. I was nine years old when my parents finally agreed to let me see my first PG-13 film (even though I’d technically already seen one when I watched Speed 2 at a friend’s house…). Perhaps they looked it up on IMDB (which I just discovered was founded in 1990), but I’m assuming my parents they asked around to find out why the movie was PG-13. So, when the iconic drawing of Rose and subsequent steamy car scenes occurred, I had to bury my face into a jumbo size tub of popcorn. Not a half bad place to hide your face during inappropriate movie moments. During a recent phone catch up, my sister asked me if she should make a big monthly purchase and buy MoviePass*. I’d never heard of MoviePass before, so I asked for some details. Basically, you pay $35 a month and can see any (2D) movie at any major movie theater. You get unlimited use, with unlimited meaning one per day. Theoretically, you could see 30, or 31, movies a month and be paying about $1.17 per movie. 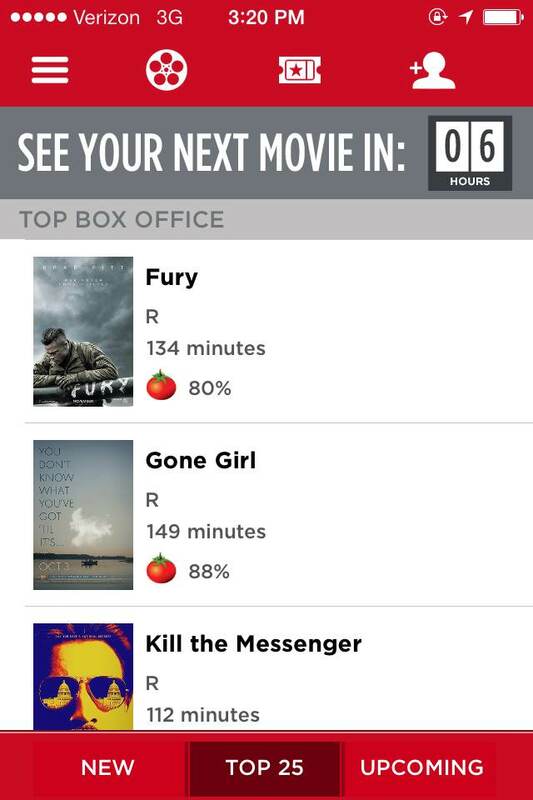 If you see three movies a month, it pays for itself in many cities where tickets are close to $15. 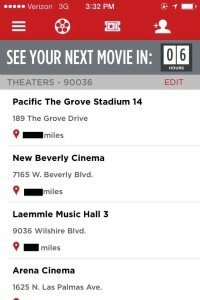 MoviePass is accepted at most major theaters, but you can plug in your zipcode on the website to make sure you’re area is included. According to the site, MoviePass is a three-step process. Similar to a gym membership, you have to commit to a year. So when you sign up for MoviePass, you have to be willing to pay $35 a month for a year. After your year, you can either cancel or keep being billed month-to-month without the annual commitment. 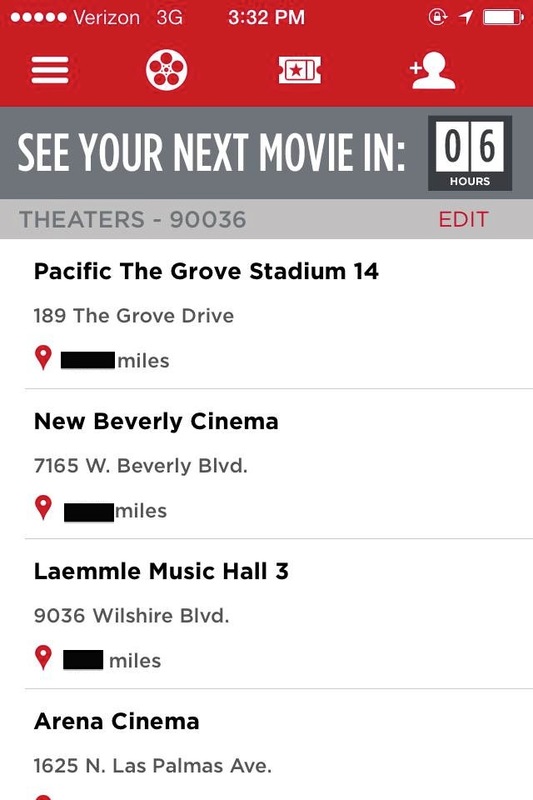 You need an iPhone or Android phone with GPS in order to use MoviePass. They need to confirm you’re actually at the movie theater in order to authorize the purchase of your ticket with the physical card. 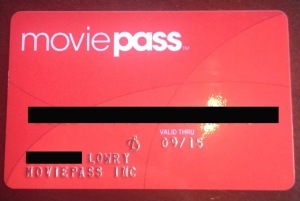 Would you fork over $35 a month for MoviePass? *There are no affiliate links in this post. I don’t go often enough to justify the cost. But hearing about things like this really makes me think being frugal is a heck of a lot more fun than it used to be! Losing coloring/drawing contests used to be devastating, so I can relate. MoviePass is a bit of a chicken or egg situation. I currently don’t go to enough movies to justify the cost, but I don’t go to enough movies because they’re too expensive. I’d probably go all the time if I forked over $35 a month! I’ve been thinking about signing up for MoviePass for the past few years now but will likely never pull the trigger on that. I don’t like being limited to movie theaters. Also, I would end up going to movies only because I’ve, essentially, already paid for them. So it could start to feel like an obligation. Seeing a movie once a week seems like a lot to me! It would certainly make date nights easier, but I understand the idea that in NYC we have so many awesome little movie theaters this wouldn’t cover. this would have been something I could have used back in the day when I spent more freely, but now I’m a lot pickier about the movies I see in the theater so I probably couldn’t justify it, even though I’m a HUGE movie buff. Right now is the time that I start going because I like to see all the oscar type movies in the theater. Most I can wait till red box. My friend was lamenting that she wished it was a month-to-month pass so she could use it for Oscar season. I bet a ton of people would. I have not been to the movie theater since my son made us leave Despicable Me 2 early because he was scared of one of the characters (we made him refund us the money out of his own pocket, because it was not a cheap day); however, this actually looks like a good deal, especially if you are someone who enjoys the movie going experience. We stick to M-Go or Amazon Prime for our movies now. My parents so would’ve done that too! I’ve never heard of M-Go. I’ll have to check it out. This would be awesome if there were enough good movies to go to. But then again, I’m probably a little pickier about the types of movies I like to watch. But I love the idea of it! What type of movies do you prefer? I think I could hit up at least two, probably three a month. But obviously I wouldn’t love them all. Sorry I’m commenting again. I remembered that there were some huge issues with Moviepass in the past. After your first month as a subscriber, you will have to pay a $20-$75 cancellation fee. The fee depends on how long you’ve been subscribed ($75 for 2-3 mos, $20 for 10-11 mos). So if you decide you don’t use it as much as you thought you did, you have to pay to cancel your subscription. After your first year, you can cancel at no cost. A year or two ago they charged you the annual price up-front and wouldn’t really provide a refund if you cancelled. Their TOS also said they could terminate your subscription anytime they wanted and charge you cancellation fees. Clearly, they’ve improved it. But it’s a company I’d still be weary of. Thanks for updating this, Leslie! I’m with Ben — personally I don’t think there are enough good movies coming out on a regular basis to make it worthwhile. Plus, I would end up eating my own body-weight in popcorn. Fortunately, I’m not a huge fan of movie popcorn. I hate spending the money and seeing the calorie count! This is great. One hitch for me. I don’t have a smartphone. Alas, I will just have to buy tickets the old fashioned way. Great find though! Yeah, that is a big downside. They don’t offer a print at home option. I guess it would be too easy to share a membership that way. Oh my gosh.. TITANIC! My friends and I would rent that movie almost every weekend in 6th grade and watch it over and over and over… oh man. Mr. Frugalwoods and I actually haven’t been to a movie theatre in over 6 years. So, I don’t think the movie pass would be a good idea for us :). But, I’m going to recommend it to my parents–they really enjoy movies and I think this would be a great deal for them. No movie in the theater for 6 years?! Craziness! I love going to the movies, but just can’t justify the cost on a regular basis. There are definitely people out there who can benefit from this, my parents for example. They probably see 5-10 movies a month in LA where they’re averaging $12-$15 per ticket. For me? Maybe if I lived in a different city. We have one small 4 screen theater that costs, I think, $8 for a movie in the evening, $6 matinee. Even better on Tuesdays tickets are $4 and you get a free drink when you buy a large popcorn. So my husband and I almost always go on a Tuesfay where we can both go, plus indulge in some empty calories, for the cost of one ticket at many theaters. My parents have a theater near their home that has $5 matinee tickets (any movie before 4 pm) and it’s a really nice theater. I wish we had such an option in NYC. Oh yeah, I totally saw American Pie with my parents, talk about awkward. I definitely don’t go enough for this to pay off, but a great resource for avid movie goers. Yikes, that would be WAY more awkward than Titantic. But I can raise you one: Black Swan with my Dad on Christmas Eve. My sister and I have been far more diligent about vetting movies before we go to them with a parent now. Sounds like you’d get your money’s worth! Sounds like a good deal if you’re a movi buff but I think I’ll pass on this one. The 12 month period is too long for me..
That’s pretty much what’s holding me back too. 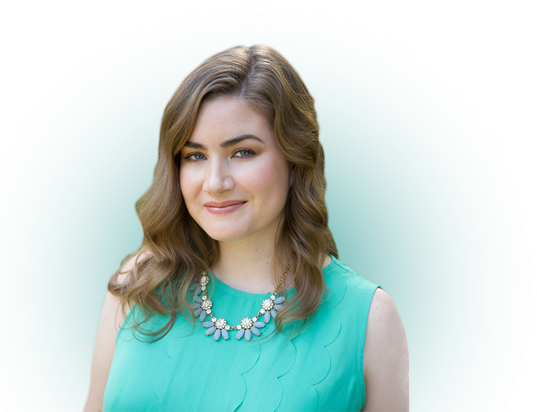 It’s a really long time to commit to something if it doesn’t turn out to have a solid ROI. 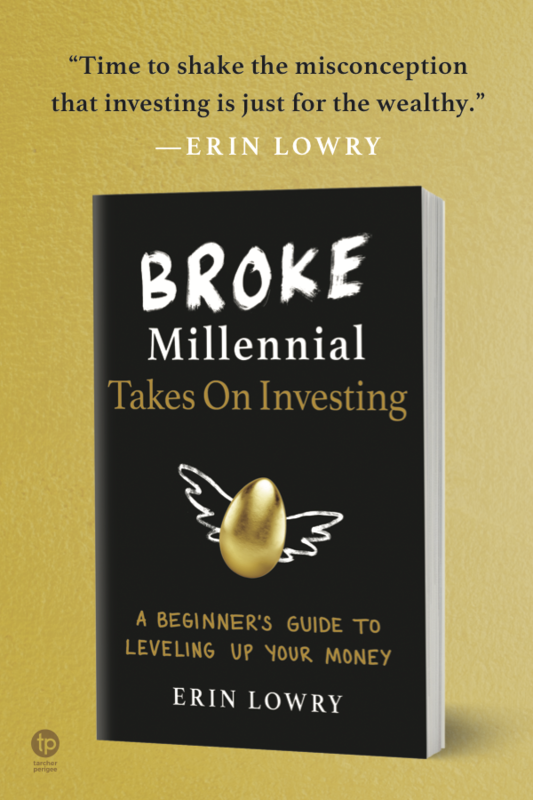 I just wrote a blog on different ways college students could save money and I wish I would have known about the MoviePass. Many of my friends are movie buffs and spend so much money going to the movies, so this would be a great thing for them to have. Though, for me it would be hard to make the commitment because I don’t know if I would actually get the worth out of it. It’s also interesting because when I first read about the MoviePass I thought it probably would only be available in bigger cities, but it is actually available in my small college town. Thanks for posting, I will definitely tell my movie buff friends about this! That’s really interesting – and really terribly promoted. I’ve never heard of it. I know a lot of regular movie goers who would definitely benefit from this. I love your Titanic story. When I was little, my favorite movie was Dirty Dancing and my mom would always make me stop and rewind it back to the beginning when it got to the abortion scenes. I love watching movies. So this will work for me.